This week on my Mums in Business series I’m excited to be featuring Rebecca who created The Classroom Partnership; a specialist recruiter in the education sector. 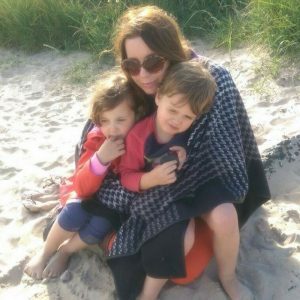 I loved reading Rebecca’s story as it fully describes the juggle that working mums face running their own business, whilst also trying to be the best parent for their children. It takes drive, determination and positivity to set up your own business, and Rebecca’s displays just that. So if you’re looking for some business inspiration and top tips then read on, and just do it! Tell me a little bit about you, your background and The Classroom Partnership? 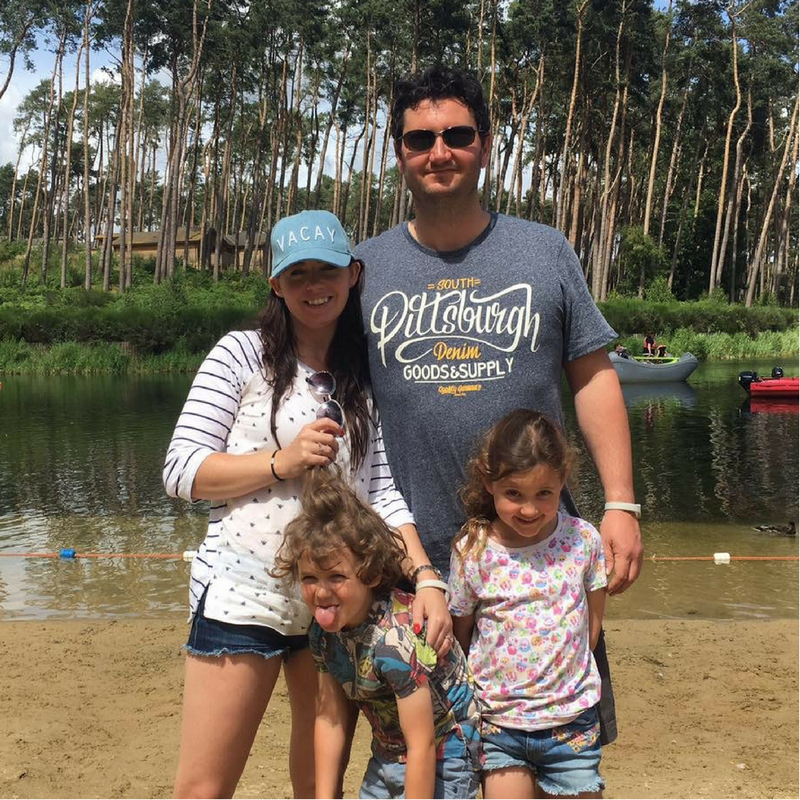 My name is Rebecca Lomax, I am a mum of two children, my little girl who is now 7 and a little boy who is now 5. I live in Derby with my husband to be and (my office buddy) Hobbes our Italian Spinone. I worked for a very successful education recruitment company for many years and fell pregnant with my first child. I promised all my clients that I would return once I had my daughter and thought that 6 weeks would be plenty of time to get back to work… I never returned. But as my children grew I yearned for my ‘old life’ when I was a successful education recruiter and wondered if I could love both parts of my life. I decided to take the plunge and sought investment from the Bluestones Group. As a result, I am now the Director of The Classroom Partnership Homeworkers. Based out of my home office I provide Education Recruitment services to our partnership schools in Derby and Derbyshire. What were your drivers and motivations for setting up The Classroom Partnership? I want to work, I want to be successful and most importantly I want to be a good role model to my children. I also want to be a good mum, I want to be there for my children, be at the school gates and go to their school assemblies and I want to be at home. Basically I want to have my cake and eat it too! I am passionate about education recruitment and knew that this sector would provide the working hours that can support working term time only, and I knew that it was possible working from home. Therefore I decided to make it happen, I am well known for diving in head first and figuring things out along the way, anything is possible with a huge amount of positivity and a great deal of hard work. It is hard but the benefits massively out way the negatives, I am that mother who is always on her phone at the school gates, by the swimming pool, by the football field and while making breakfast! But I am lucky to be at home with my children, take them to clubs and be at the school gates. It is a constant juggling act, mastering the art of multitasking which can become stressful at times but I am extremely fortunate. We all look forward to the school holidays when we can reconnect and my children have my full attention, although I am still contactable on my phone I do shift my focus to my family and I make the time special. Goodness, it’s been a whirlwind! We have enjoyed tremendous growth, we have had highs and lows as expected with most new businesses. But currently, our biggest success is what we have achieved to date which is recruiting a very high number of quality, hard-working, reliable and superb teaching staff for our partnership schools. If it wasn’t for their dedication, The Classroom Partnership wouldn’t be the business it is today. The staff we have are by far the biggest achievement. Just go for it! It could be the worst decision but what if it’s the best of your life? Don’t over think it, you can figure out the technicalities along the way and adapt as your business changes – anything is possible, go for it! You will have bad days but you will have awesome days, that’s just life! Enjoy the highs and ride the lows, remain positive and keep up the hard work – keep going. Thank you so much Rebecca for taking part in my series, it was lovely to interview you, and I wish you the best of luck in the future. You can find out more about The Classroom Partnership by visiting their website and their social channels: Facebook, Twitter and LinkedIn. If you would like to be part of my Mums in Business then just drop me an email: thepramshedblog@gmail.com. Or have a nose at some of the other businesses I have featured in my series: Mums Bake Cakes, We Mean Business, and Chinskitchen. How did I get on in 2018?